“Snow Capped” is an award-winning landscape image that gave me the honor of being named the “2016 Landscape Photographer of the Year” by the Professional Photographers of California. 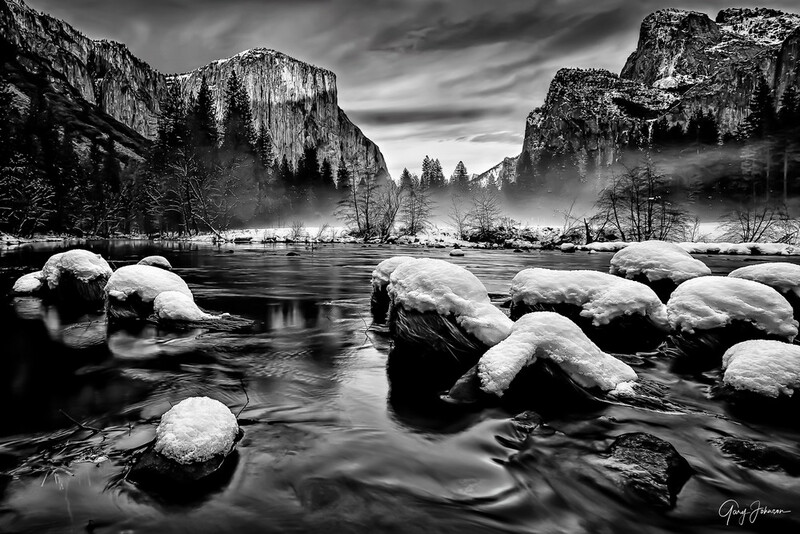 It was photographed in Yosemite Valley on the Merced River after a snow storm. I was standing in the icy cold water with my camera on a tripod inches off the surface. I especially was drawn to the fog bank on the opposite shoreline and the warm setting sun as it lighted up the top of El Capitan. Printing this image in black and white on a metal medium allowed the beautiful contrast between the white snow and the dark river.